 Blog » Basic Finance » Equity Market » Why Buyback of Shares is Done? Why Buyback of Shares is Done? Last month while reading the newspaper, I came across this line which states- “Bharat Electronics (BEL) to buy back shares worth Rs 2171 crore”. But in order to understand this, we must know what is a buyback of shares? A share repurchase or buyback of shares is a way a publicly traded company invests in its own shares from the existing shareholder. Like dividends, share buyback is an avenue for the company to return cash to its existing shareholders. Many good companies like TCS and Infosys keep rewarding their shareholders through a regular increase in dividend and share buyback. 1. It can be done on a proportionate basis from the existing shareholder through the offer. 2. Buyback of shares can also be done in the open market through stock exchange via book building process. 1. The pre and post shareholding by the promoters needs to be disclosed by the company. 2. The company is not allowed to issue the same class of shares for the coming one-year post buyback. 3. The shares bought back has to be destroyed within 7 working days. 1. The number of share outstanding goes down due to the buyback of shares. 2. Buyback leads to the increase in earnings per share (EPS). Since it reduces company’s outstanding shares, the impact is clearly evident in per-share measures of cash flow and profitability. 3. It also leads to increase in stock price in the market. Generally, the buyback is looked upon as an increasing confidence with the promoters. 1. Buyback helps to reduce threat by the shareholders who may be looking for controlling stake in the company. 2. The company may also use buyback for delisting of shares. 3. The company may go for buyback in the poor market condition as they believe that share price is undervalued to support falling price. 4. Many a time when the company has idle cash and has no other good opportunity to invest, the company utilizes it in its own business. Though share buyback and dividend are both ways for a company to return cash to its investors, but one difference is that share buybacks show a future payoff, while dividends represent current payoff to an investor. This is an important reason why an investor’s reaction to a stock which has declared a dividend increase will generally be more positive than to one which announces an increase in its buyback program. Another difference has to do with taxation, especially where buyback of shares are taxed more favorably than the dividend. To know in-depth about buyback of shares you can enroll in our NSE Academy Certified Capital Market Professional (E-NCCMP) course. The share buyback is a great way to increase the shareholder’s wealth over time, even though they have a higher degree of uncertainty than dividends since the repurchase’s value depends on the future price of the stock.